Born: January 7, 1863 in Middleboro Ma. 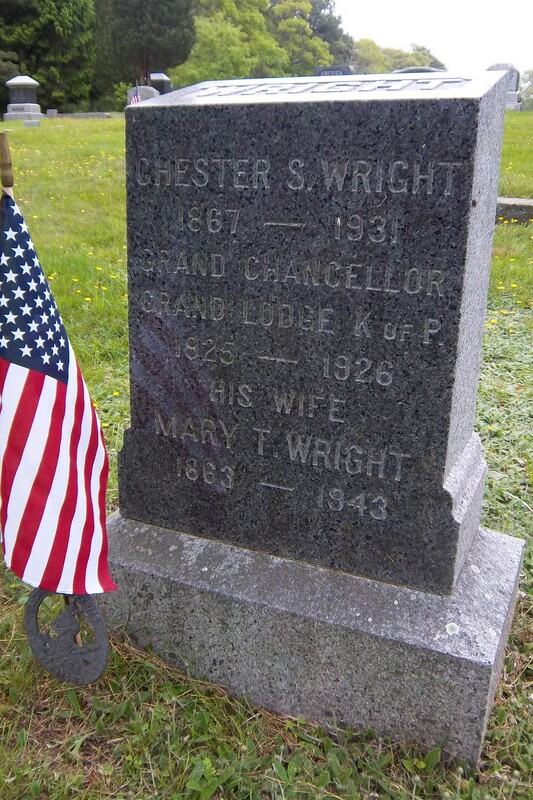 Died: August 7, 1943 in Bourne Ma. at 80 yrs, 7 mos. 1. 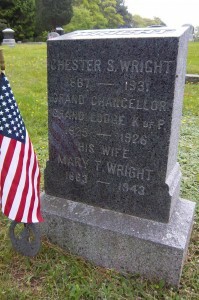 Elsie Wright; (March 23, 1893 – March 30, 1893); Elsie died at 7 d..
2. Philip Gordon Wright; (August 7, 1895 – Jan 1970); Married Rose M. Brown in Bourne Ma. on April 24, 1924; Philip died in Brighton Ma. ; No further information. 3. 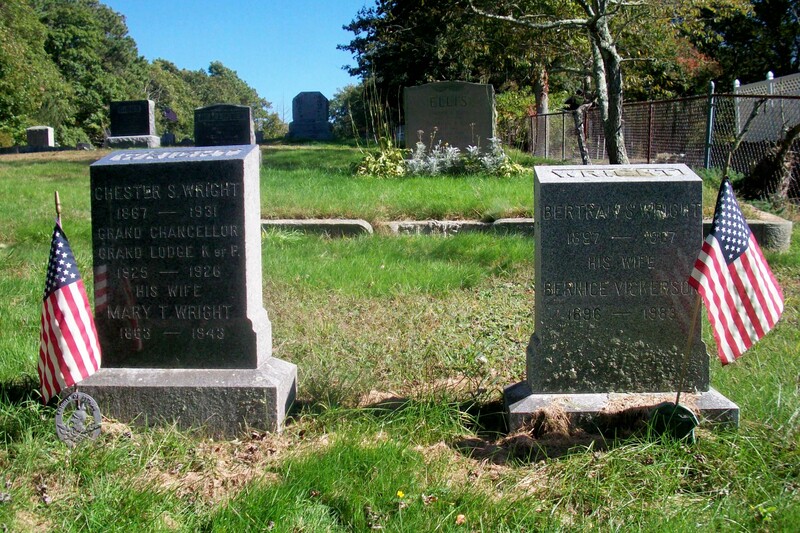 Bertram Stanley Wright; (February 25, 1897 – April 2, 1967); Married Bernice Helen Vickerson (1896 – 1983) (Heath C. Vickerson & Christina Wilson) in Bourne Ma. on October 23, 1920; Bertram & Bernice are buried in Pocasset Cemetery.